This article is about the main television network owned by Bell Media. For Bell Media's secondary conventional television system, see CTV Two. For the defunct media conglomerate which formerly owned the above properties, see CTVglobemedia. For Bell Media's 24-hour national cable news channel, see CTV News Channel (Canada). For other uses, see CTV. CTV is an English-language broadcast television network in Canada launched in 1961. Since 2000 it is owned by the Bell Media division of BCE, Inc. It is Canada's largest privately or commercially owned network, and has consistently been placed as Canada's top-rated network in total viewers and in key demographics since 2002, after several years trailing the rival Global Television Network in key markets. Even before his station was licensed, John Bassett, the chief executive of the ultimately successful Toronto applicant Baton Aldred Rogers Broadcasting, had expressed interest in participating in the creation of a second television network, "of which we see the Toronto station as anchor". Indeed, Baton had already begun quietly contacting the successful applicants in other cities to gauge their interest in forming a cooperative group to share Canadian programming among the stations. This led to the July 1960 formation of the Independent Television Organization (ITO), consisting of all eight of the newly licensed private stations, plus CFRN. Each station would have a single vote in the ITO's operations, regardless of the size of the station's audience (CFTM, being a French-language station and therefore having little reason to collaborate with the other stations, would soon withdraw from the group; it would later emerge as the flagship of the first private French-language network, TVA). The ITO soon resolved to apply for a network licence to link these second stations. Caldwell's departure in 1965 did little to alleviate the situation, and CTV soon found itself of the verge of bankruptcy. In 1966, the network's affiliates (which by this time included CJON-TV in St. John's, CKCO-TV in Kitchener, CHAB/CHRE in Moose Jaw/Regina, and the network's first and only U.S. affiliate, WNYP-TV in Buffalo, New York) sought permission to buy the network and run it as a cooperative. The BBG was initially skeptical of the proposal. Since CFTO was by far the largest and richest station (it was more than double the size of the next-largest station, Montreal's CFCF-TV), the BBG feared that CFTO would dominate CTV if the stations were allowed to buy the network. To alleviate these concerns, the affiliates promised that each station owner would have one vote regardless of its audience share. The board readily approved the proposal, and by the start of the 1966-67 season, the stations owned their network. The network also began broadcasting in colour on September 1, 1966. CTV made a name for itself in news coverage when it convinced star CBC news anchor Lloyd Robertson to switch networks in 1976. (Robertson served as the network's main anchorman until 2011). The network also has the country's longest-running national morning news show, Canada AM. Its weekly newsmagazine series, W-FIVE, has been a fixture on the network since 1966, predating the similar American program 60 Minutes by two years. For most of its first four decades, CTV did not have what could be considered a main schedule outside of news programming. The differences were enough that Ottawa's CJOH used a rebroadcaster in Cornwall to feed cable systems in Montreal from the early 1980s through the mid-1990s; that rebroadcaster reaches the western portion of the Montreal area. In 1996, Baton acquired CFCN from Rogers Communications. Significantly, Baton also acquired Rogers' CTV vote. It also started a joint venture with Electrohome, owner of CFRN and CKCO. As part of the deal, Baton was allowed to vote Electrohome's . The following year, Baton acquired both Electrohome's share of the joint venture and CHUM Limited's CTV-affiliated system in the Maritimes, ATV. This gave Baton a 57.2 percent controlling interest in the network, triggering a put option allowing the remaining affiliates to sell their CTV shares to Baton without selling their stations, which they did. Baton was now full owner of the CTV network and immediately began plastering the CTV brand across its stations, even on non-network programming, and dropped its secondary Baton Broadcast System (BBS) brand. 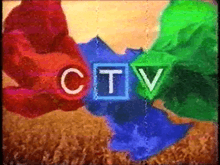 The company changed its name to CTV Inc. in 1998, and eventually acquired two of the final three large-market stations, CKY and CFCF (it replaced the third, CHAN, as discussed below). The network's programming consists mainly of hit American series (such as The Amazing Race, The Big Bang Theory, Blue Bloods, Castle, CSI, Dancing with the Stars, Grey’s Anatomy, The Mentalist, The Michael J. Fox Show, Unforgettable and The X Factor), but it has also had success with Canadian-made shows such as Due South, Power Play, Degrassi: The Next Generation, Corner Gas, Instant Star, The Eleventh Hour, Flashpoint, The Listener and Canadian Idol. CTV also regularly produces and airs Canadian-made television movies, often based on stories from Canadian news or Canadian history, under the banners CTV Signature Series or CTV Movie. News programming consists of the nightly CTV National News, morning program Your Morning, local newscasts branded as CTV News, and newsmagazines W-Five and Question Period, which interviews politicians and recaps political events during the week. On May 22, 2007, it was announced that CTV had acquired the broadcast rights to the National Football League early-afternoon Sunday games, the full NFL playoffs, and the Super Bowl, starting with the 2007 NFL season, effectively ending a lengthy association between the NFL and Global. TSN, a sports channel co-owned with CTV, airs primetime NFL games and produces the CTV broadcasts in tandem with CBS and Fox. On November 19, 2003, CTV launched an HD simulcast of its Toronto station CFTO, with the over-the-air feed going on the air in 2005. CTV has since launched HD simulcasts of CIVT Vancouver on June 1, 2004 (the over-the-air feed followed suit in 2006), CFCN Calgary on January 8, 2009, CFCF Montreal on December 1, 2009 (the over-the-air feed followed suit on January 28, 2011), CJOH Ottawa on December 1, 2009 (BDU only), CFRN Edmonton in January 2011, CKY Winnipeg in February 2011, and CJCH Halifax on May 11, 2011. Kenora, Ontario CJBN-TV 1980 2011 Left the network after its affiliation agreement with Bell Media ended; currently owned by Shaw Communications as a Global affiliate. Pembroke/Ottawa, Ontario CHRO-TV 1991 1997 Swapped by Baton for CHUM Limited's stations in Atlantic Canada; currently owned by Bell Media as a CTV Two O&O. St. John's, Newfoundland and Labrador - CJON (NTV): no longer affiliated with CTV, but still carries CTV's newscasts and specials. Oldsmar, Florida, United States - WZRA-CA: low-powered station in the Tampa Bay area that carries CTV news programming. Since the 2007 acquisition of A-Channel by CTVglobemedia as part of the takeover of CHUM Limited, media analysts had speculated that CTV may potentially extend its market-leading CTV brand to that television system. It was first rebranded as "A" in 2008, then as "CTV Two" on August 29, 2011. CTV Two currently consists of six over-the-air O&Os in Ontario and three in British Columbia, as well as regional cable-only channels in Atlantic Canada and Alberta, providing complementary programming which have smaller audiences than those on the mainline CTV network. The network's original logo was an oval-shaped letter "C", the inside shaped like a television tube. Contained within the C were the initials "CTV". In 1966, colour programming was ushered in with a new logo, depicting a red circle containing the initial "C", a blue square with a "T", and a green inverted triangle with a "V". This logo has been used, albeit with minor variations, ever since. For the 1967–68 season, the letters "CTV" were rounded and easier to see, with the "base/TV" graphic added later. In 1998, CTV introduced a new "ribbons" identity that has remained in use, with various minor adjustments, ever since. Initially, CTV used the three coloured ribbons and shapes of its logo to represent its different divisions. In network branding, the red ribbon and sphere represented entertainment programming, the blue ribbon and cube represented news programming, and the green ribbon and cone referred to sports programming. Following the acquisition of TSN in 2001, sports programming on CTV adopted a variant of TSN's then-new ESPN-style branding, which was predominantly a darker red. The green colour has not been used for a specific purpose since then, apart from some pre-2001 network identifications that are re-used for specific occasions (such as a golf-themed ident typically used on Father's Day). The ribbons were given a 3D appearance on August 2011. As of January 1, 2012, CTV reinstated the Olympic rings below its logo on-air to bear the official network for the 2012 Summer Olympics. Unlike the 2010 Winter Olympics when CTV left the Olympic rings on the on-screen logo after the games were over not until removing them in January 2011 and re-adding them again a few months later, CTV quickly removed the Olympic rings on the screen bug the following day after the closing ceremony. This was due to CBC/Radio-Canada gaining the rights to the 2014/2016/2018/2020 Olympic Games. ↑ There may be some confusion about the network's launch date due to a celebration of "50 years of local news" held by local CTV and A-Channel stations in April 2008, particularly as there were a handful of cases where the event was erroneously referred to as a "50th anniversary". Neither the network nor any local CTV-owned station launched in 1958, although some of the stations that later joined CTV launched earlier in the 1950s. The celebration was not timed to any particular anniversary but rather to a CRTC review of regulations for local television stations also held that month. ↑ "BCTV Ch-8 Vancouver BC_sign off (posted 2009-03-15)". YouTube. Retrieved 2012-02-25. 1 2 3 Braithwaite, Dennis (2 October 1961). "Filmed Accolades Put Private TV Network on the Air". The Globe and Mail. p. 4. ↑ "Decision CRTC 2000-235". Canadian Radio-television and Telecommunications Commission. July 6, 2000. Retrieved January 2, 2012. ↑ "Decision CRTC 2001-507". Canadian Radio-television and Telecommunications Commission. August 21, 2001. Retrieved January 2, 2012. ↑ "Decision CRTC 2001-509". Canadian Radio-television and Telecommunications Commission. August 21, 2001. Retrieved January 2, 2012. ↑ "TV Listings Guide and TV Schedule, , where to watch TV shows - Zap2it.com". Zap2it. ↑ "CTV-set-to-return-to-CKPR-TV - Tbnewswatch.com Thunder Bay News". tbnewswatch.com. ↑ "Corus Entertainment's Eastern Ontario Television Channels Enter into a Program Supply Agreement with Bell Media to Broadcast CTV Programming". 1 2 Canadian Radio-television and Telecommunications Commission (2015-08-27). "Broadcasting Decision CRTC 2015-403". Retrieved 2015-08-31.